We don’t send out a lot of emails, but when we do, we hope you enjoy our latest adventures, travels tips, photography and more. 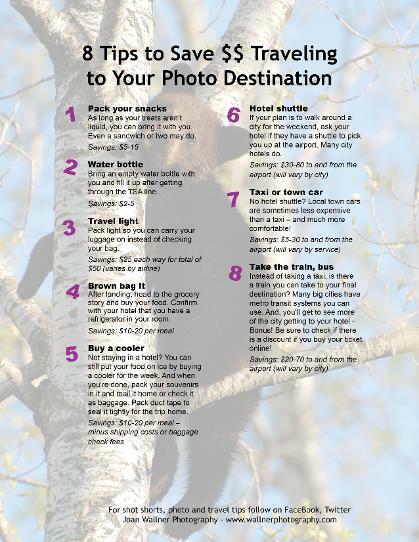 While traveling to different photo destinations to photograph Yellowstone National Park spring babies, Katmai National Park grizzly bears, Churchill Canada polar bears and many other photo destinations(! ), we’ve discovered smart ways to save money. Photography is top on my list when I arrive at a location, but that might not be yours. That’s okay, because these tips may help any travel planner save money. For me, that means more money to spend on other trips that are on my bucket list… say, Antartica, Africa or Galapagos Island. Or an evening out to enjoy the culture or local restaurant. And, if you are an educator, we recently started a Journeys to Learning series for young readers. When we release the next edition, we'll send out an email to let you know. If you know of teachers who may be interested in our work, please let them know about us.